On the 23rd of February the tenor has debuted in the part of Hoffmann from “Les contes d’Hoffmann” Offenbach at the Mariinsky Theatre. Since January 2012 Khachatur Badalyan has become a soloist of the Mariinsky Theatre. 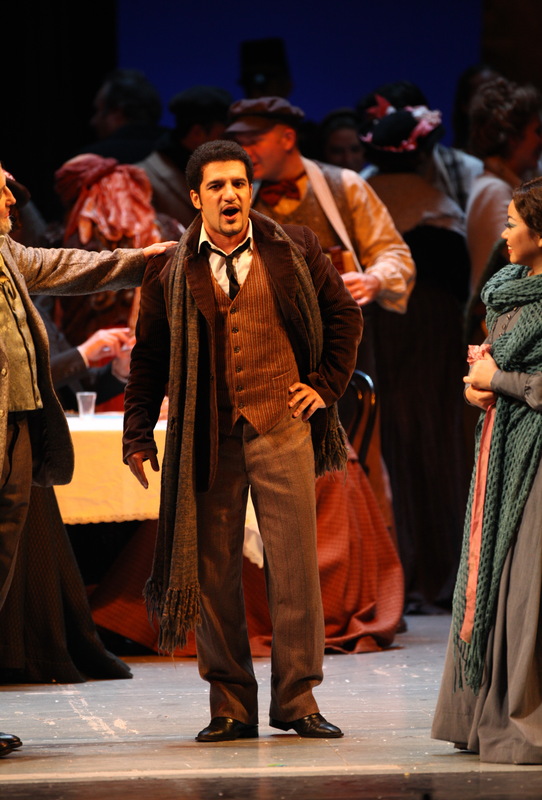 Khachatur Badalyan have made his North-American debut in Montreal Opera. 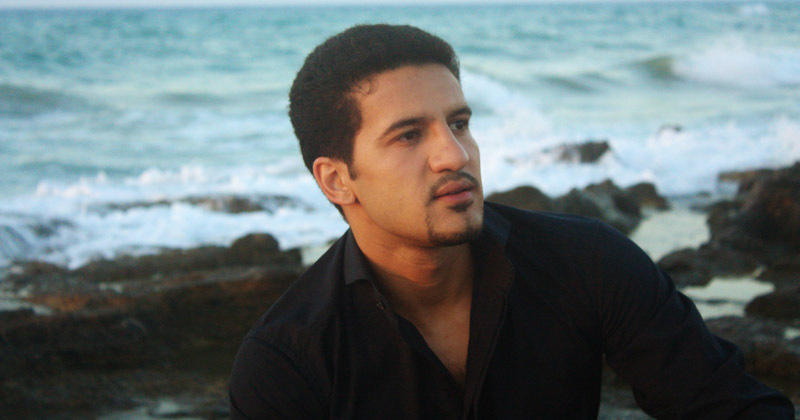 “Le tenor Kachatur Badalyan dans le role du Prince partage avec sa partenaire l’excellance de son jeu scenique e la voix chatoyante convient a l’amant conquerante”. First prize Soprano Jessica Nuccio. Third prizes ex-aequol Soprano Audrey Du Bois and Baritone Song Gukhoe. 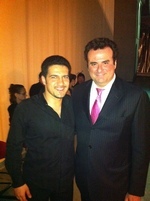 Khachatur Badalyan’s Rodolfo in Teatro Bellini was a success. You can see the pictures from the performance here. Khachatur Badalyan was awarded “Elena Lenina’s golden medal”. 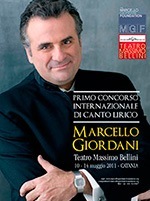 In 2009-2010 season Khachatur Badalyan debuted in the role of Duca di Mantova in “Rigoletto” Verdi, Sinodal “Demon” Rubinshtein. Sang Vladimir Igorevich in “Prince Igor” Borodin in concert performance in Novaya Opera Theatre and in the stage performance for the Golden Mask Award in Novosibirsk Opera Theatre. In the Epiphany Week in Novaya Opera Theatre the tenor performed the part of Vodemon “Iolanta” Tchaikovsky. 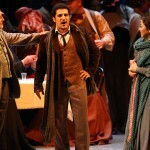 Sang Rodolfo in “La Boheme” Puccini in the Bolshoi Theatre (conductor Antonello Allemandi, Veronica Dhioeva – Mimi, Maxim Yasnopolsky – Marcello, Anna Krainokova – Musetta). In Chelyabinsk Opera Theatre performed the part of Lohengrin in Wagner “Lohengrin” premier. Performed the part of Carlo VII “The Made of the Orleans” Tchaikovsky in the concert performance in Novaya Opera Theatre. In Moscow Concervatory Grand Hall performed the tenor part in Scriabin Symphony №1 (conductor – Mihail Pletnev, mezzo-soprano – Anna Viktorova).